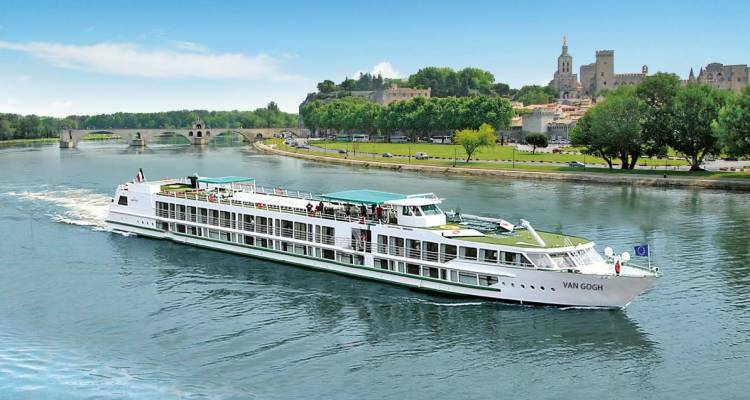 Van Gogh, the four star riverboat provided by CroisiEurope, takes regular river cruises on Rhone and Saone. It has a very friendly and spacious interior which can accommodate 158 passengers. The 78 cabins feature large windows where tourists can admire the landscape, although the best place to do this would be the sundeck. It has plenty of chairs and it is also the perfect spot to gaze at the wonders of France: admiring the river banks, castle ruins, or simply taking in the sun, while enjoying a fresh cup of coffee or your favorite cocktail on the sundeck.